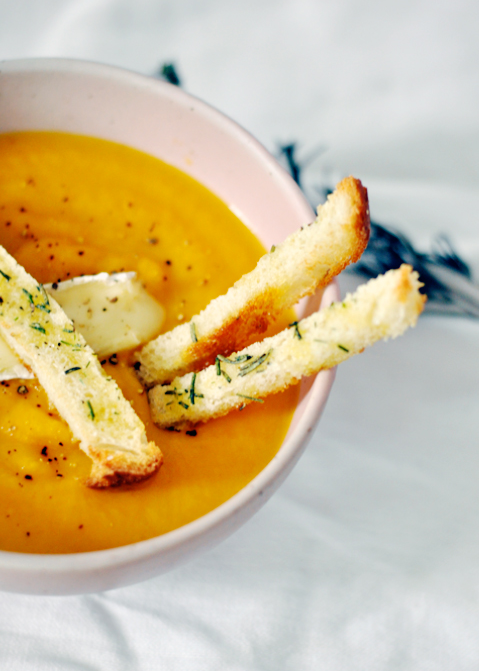 I'm excited to share this Butternut Squash & Pear Soup recipe today from Jacquelyn at Lark & Linen. This would be a wonderful appetizer or first course for Thanksgiving dinner. As you may have noticed, I'm a huge fan of butternut squash and have posted several recipes using them. I have roasted butternut squash in my refrigerator constantly! I plan to vary the preparation of this recipe by roasting the diced butternut squash and pear together in the oven at 425° for 20-25 minutes until slightly caramelized. I prefer this instead of softening them in the stock pot as I love the flavor that roasting the squash adds to any dish. And, roasted pears - yum! I will also sub the heavy cream for Greek yogurt. Click here for the recipe and to check out Lark & Linen blog ... I think you'll be glad you did! 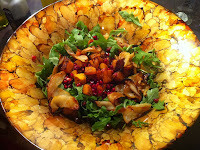 Don't forget to check out my Roasted Butternut Squash, Pear & Pomegranate Salad from last week. Another great holiday dish! If you have the Paprika recipe app and would like to download any of these recipes, please email me and I'll send them to you in the correct format.